The Place For ALL Your Stuff! 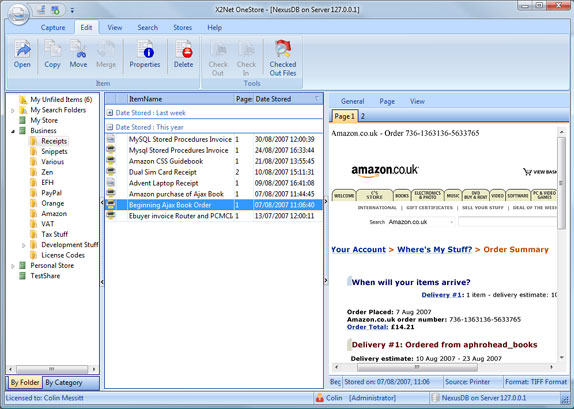 X2Net OneStore makes it simple for you to consolidate all of your important information in one place, whether it comes on paper or arrives via your PC. And we do mean everything. 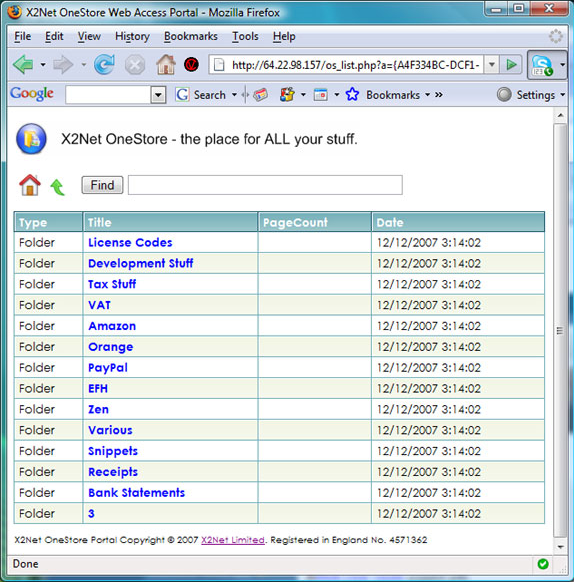 No matter what it is, and whether it's scanned, clipped, snipped, saved, dragged, dropped, recorded, copied, versioned, or fingerpainted, you'll be able to store and access it via X2Net OneStore. 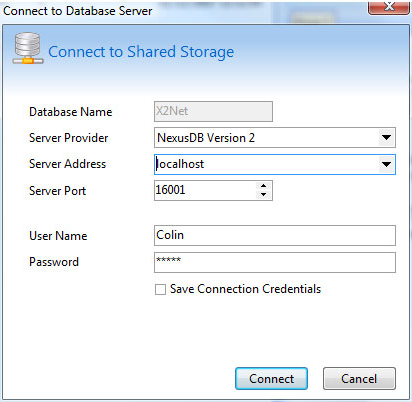 In it's simplest form, you can use X2Net OneStore locally on your PC and access your information and data directly from the locally-installed application. For more sophisticated storing and sharing needs, the client/server mode can be utilized. The data located on your PC ("the server") can be designated for access by multiple users on the same PC, from multiple workstations on a Local Area Network, a Wide Area Network, across a VPN, or even across the internet itself. The data can even be accessed remotely using nothing more than a web browser at a friend's house, an internet café, or on a smartphone! And don't worry, with multiple levels of permissions and security, you'll never have to worry about your information being accessed by anyone that you don't want. Please note: An X2Net single-user license is now free! Today's promotion is for a commercial license or for a single-user license on a multi-user network installation. 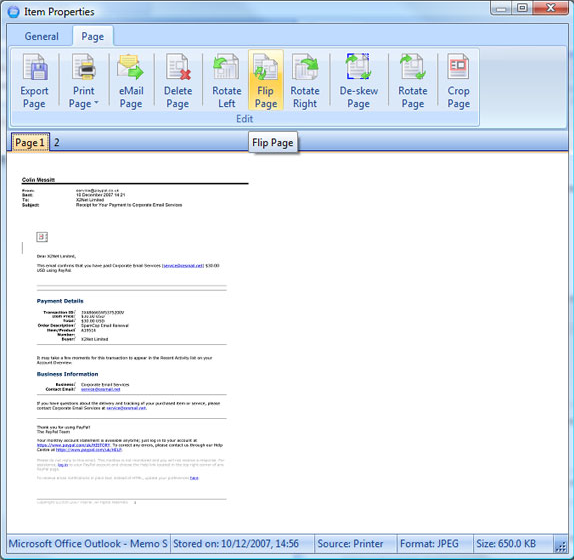 Scanning paper documents directly into OneStore. Printing documents straight into OneStore via the OneStore Virtual Printer. Snip anything that you see on your screen and store it directly in OneStore. Capture text from the clipboard and store it in OneStore. Record audio from your PC (VoIP conversations included) and store them in OneStore. Store copies and multiple versions of important files in OneStore. 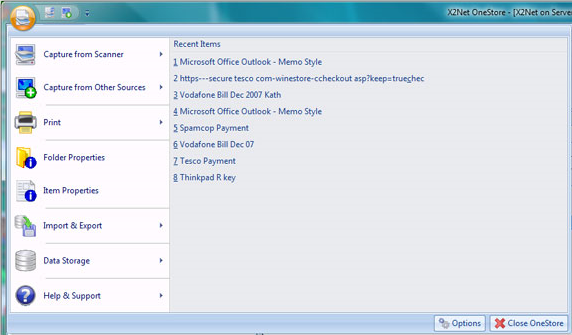 Store your information in a way that works for your particular needs using OneStore's folder and category features. Find your information easily with OneStore's powerful search capabilities. Share your information around a local network, across remote offices using a Virtual Private Network or even across the Internet. Multiple users can access documents with the ability to use OneStore's security model to restrict access in a way suitable for your needs. Provide access to a subset of your documents to third parties (your accountant or lawyer, for example) by providing them with userid/password controlled access to your shared storage. ahmet can This application sounds nice. 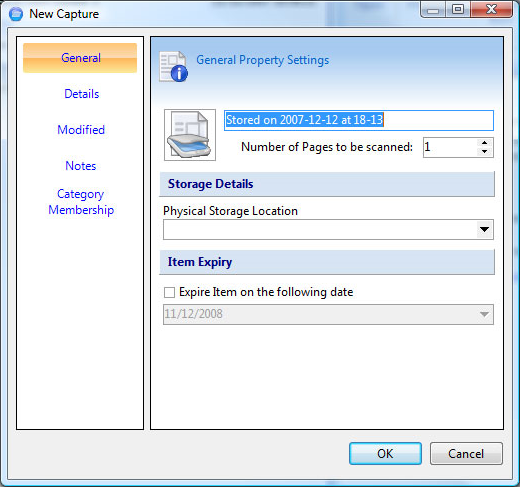 But it cannot preview or open files that are imported via documents rather than onestore printer interface. If they had real document preview that supported common formats this would have been a really good deal. Colin Messitt Thanks for the comment. It's something we are considering for a future release. "Please note: An X2Net single-user license is now free! Today's promotion is for a commercial license or for a single-user license on a multi-user network installation." Any idea where I might be able to find this licence key?